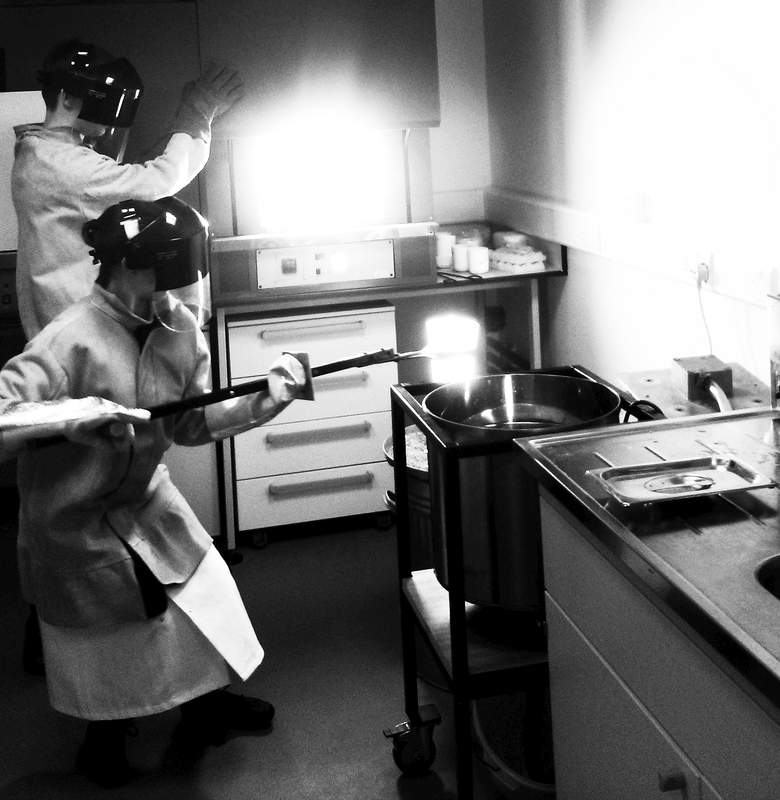 This image shows myself and Lucia Pontiroli making a special composition of bioactive glass using a furnace at 1450°C. The picture is taken just as the glass has been removed from the furnace, after which it will be poured into a tank of water to rapidly cool (making an interesting sound as the glass shatters in the water), forming glass which we can use in our experiments. Bioactive glass has great potential for repairing bone defects as it is durable, sticks to bone very strongly and can be made into bone like shapes. It is also made from a mineral similar to the hard part of bone (hydroxyapatite) and releases ions which can improve cell growth, speeding up the healing process.